The latest Apple Macbook Pro offers retina display. It still comes in 13-inch and 15-inch models but now packed with a lot more pixels offering probably the most brilliant display available on a laptop. The new Apple Macbook Pro is also slimmer and comes with more power for outstanding performance. The new Apple Macbook Pro is incredibly thin. At just 18mm thick, the super-slim 15-inch Macbook Pro is just 1mm fatter than the ultra-portable Apple Macbook Air. The new designs offers only flash storage, which is faster and more reliable. 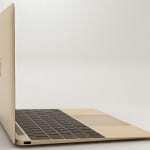 The 13-inch models offer 128GB or 256GB flash storage, while the 15-inch models offer 256GB or 512GB flash storage. 768GB flash storage is also available. 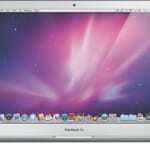 The Macbook Pro with retina display offers a number of processors. The 13-inch models feature an Intel core i5 2.5GHz or 2.6GHz dual-core processor with option for Intel core i7 2.9GHz or 3.0GHz dual-core processor, while the 15-inch models offer an Intel core i7 2.4GHz or 2.9GHz quad-core processor with options for 2.8GHz quad-core processors. Possibly the most outstanding feature of the new Apple Macbook Pro line is its stunning retina display. The 13-inch model comes with a 13.3-inch back-lit LED display with 2560 x 1600 pixels resolution, while the 15-inch models offers a 15.4-inch back-lit LED display with 2880 x 1800 pixels resolution. It also offers a full-size back-lit keyboard and multi-touch trackpad. For your connectivity, Apple Macbook Pro with retina display features headphone port, USB 3.0 ports, Firewire via Thunderbolts, Mini Display port with DVI, HDMI & VGA support, Thunderbolt port, and Gigabit Ethernet via Thunderbolt port. It also features Bluetooth 4.0 and Wi-Fi 802.11 a/b/g/n. 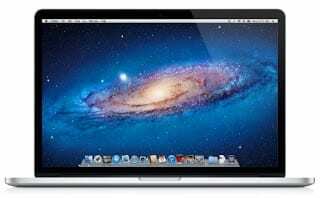 Apple Macbook Pro notebooks with retina display are available in Nigeria. You can buy at local computer stores or at online stores in Nigeria like Jumia. 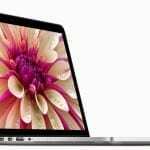 Price of the Apple Macbook Pro in Nigeria ranges from N240,000 to N510,000 depending on configuration.